Home » World » Asia-pacific » Japan in Recession! Japan is officially in recession. 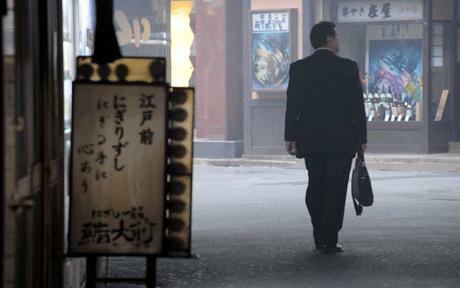 The devastating Earthquake and Tsunami has pushed Japan into worst stage of recession. The technology boom Japan was the one of the few countries that battled out the 2008/2009 recession thereby giving hope for the other countries to battle out recession. However, Japan has become the first country to enter Recession this year 2011. According to the Cabinet Office, Gross domestic product shrank 0.9% in the first three months of the year, giving an annualised rate of contraction of 3.7%. The contraction in the first three months of this year was bigger than expected, with most analysts expecting the annualised rate would show a contraction of about 2%. “Japan’s economy is expected to remain weak for the time being,” said Japanese Economics Minister Kaoru Yosano on Thursday. However, Mr Yosano said that supply constraints were easing and reconstruction demand was likely to spur growth. “The economy has the strength to bounce back,” Mr Yosano said. Mustafa Abu Al-Yazid al-Qaeda No.3 Killed ? New Indian Rupee Symbol a copy of Euro? Discovery Hostage Taker James Lee Is Dead!! Previous: Dominique Strauss-Kahn Resigns as IMF Chief!